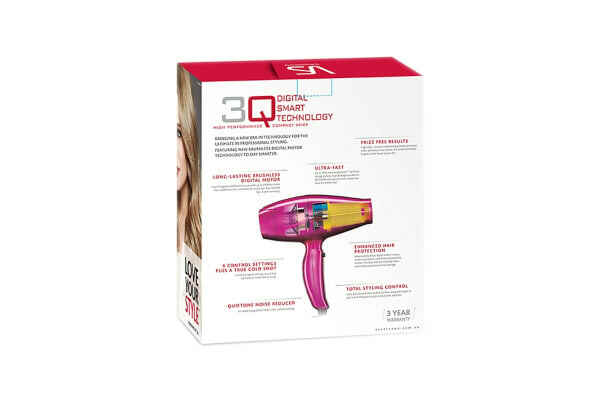 Featuring new brushless digital motor technology to dry smarter, the VS Sassoon 3Q Compact Digital Hair Dryer offers superior drying performance and increased hair protection. 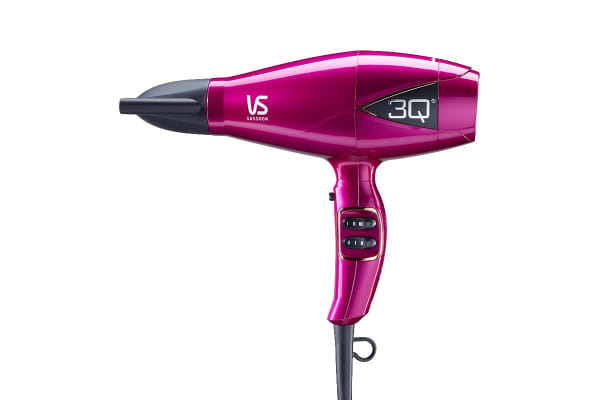 The VS Sassoon 3Q Compact Digital Hair Dryer features breakthrough brushless digital motor technology that dries your hair 70% faster. 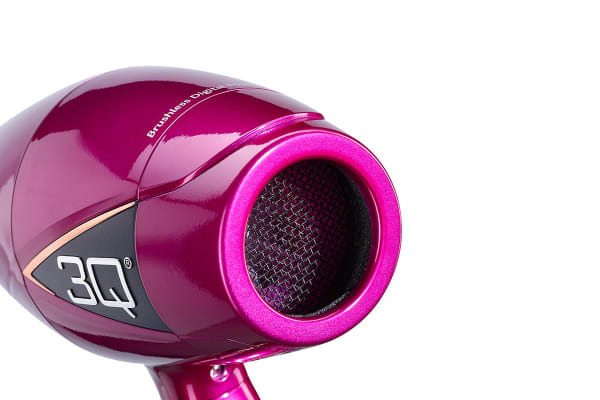 More importantly, it generates fewer hot spots than a standard dryer for better long-term protection of your hair. Style with greater precision using the concentrator attachment and lock in your look with the Cold Shot. However you use your VS Sassoon 3Q, you’ll find your style in no time.